HOUSTON -- Erasmo Ramirez filled in exceptionally well in his first start in place of Felix Hernandez on Sunday and Mitch Haniger delivered the game-winning hit in the 10th inning as the Mariners pulled off their first four-game sweep of the Astros in franchise history with a 4-3 win Sunday at Minute Maid Park. 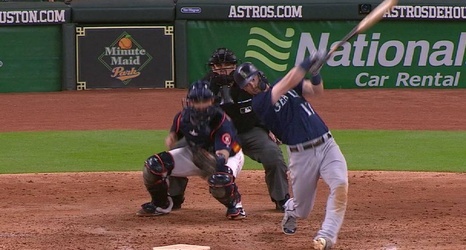 Haniger continued shining in his new leadoff role as he went 3-for-5 and laced the go-ahead RBI double off Roberto Osuna in the 10th after Dee Gordon's pinch-hit single. The Mariners have won six of their last eight games to pull within four games of the Astros in the American League West at 69-50 and are just one back of the A's in the race for the AL's second Wild Card spot, pending the outcome of Oakland's game at Anaheim.